You may not have heard of Dreamkiller before so I’ll bring you up to speed. 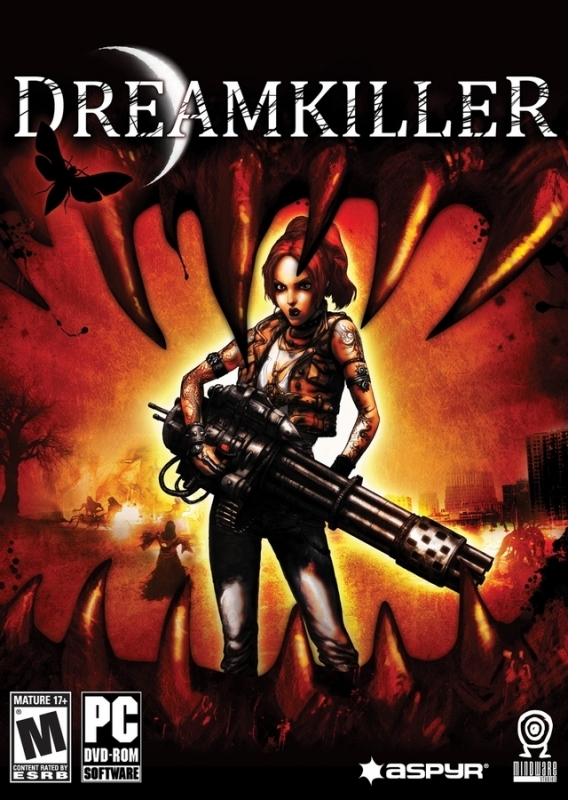 Dreamkiller is a short little run-and-gun FPS title, available for the PC and Xbox 360. You play as Alice Drake (most certainly no relation to Nathan), a sort of self-made psychologist who is able to actually enter the minds of her most troubled patients in order to root out the demons lurking within by shooting them, naturally. By wiping out all of the monsters within her patients’ minds she is effectively able to cure them of their phobias. The concept is quite interesting; there’s clearly potential for a great story with unique and interesting gameplay mechanics to match it. Unfortunately, as you may have guessed from the score I’ve given the game, any potential remains largely (but not wholly) untapped. 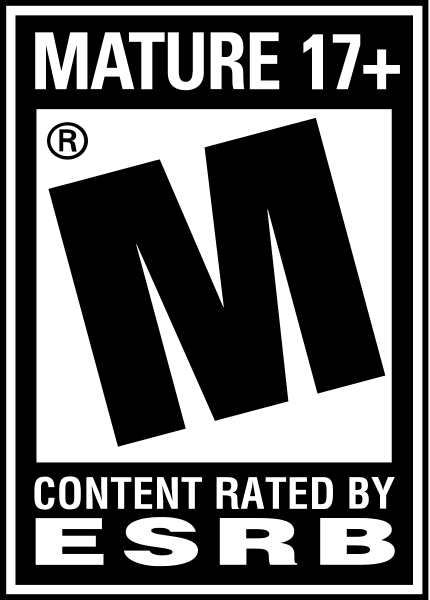 The concept is mainly let down by bland, repetitive, mindless gameplay and dated graphics. At the start of each level you’re presented with a short case file for the patient you’re about to cure. Sometimes you’re also treated to a cut scene which features beautifully hand drawn pictures and solid voice acting. The simple text documents which make up each case file primarily serve to inform you of that person’s phobia and forewarn you of the enemies you’ll encounter in the upcoming level. For example, if the patient has arachnophobia (fear of spiders), expect to encounter plenty of spiders in that level. If they have ponophobia (fear of overwork), expect to do battle with a lot of crazed office workers, and so on. This set-up means that each patient (read: level) is different, and this is clearly one of the game’s strengths. The level design certainly has its moments. The asylum level, based on patient's a fear of madness, is particularly well crafted, and during the ponophobia level there’s a large room, scaled on either side by massive office filing draws which are spewing out reams of paper. Moments like these are inspired and interesting; it’s almost enough to distract you from an otherwise unpleasant gaming experience. The enemy designs can also prove a highlight, for example in the aforementioned asylum level there are tall enemies constrained by strait-jackets who lumber towards you wearing face masks which look like something out of a Saw movie. That said, sometimes the concept is forgotten and falls by the wayside, so enemies you’ve encountered with one patient will arbitrarily be featured in the level of another who has a completely different and unrelated problem. Unfortunately, whilst the settings are varied and the enemy design plentiful, the basic layout of each level is all too similar. Most of the time you’re running-and-gunning your way through bland corridors and pathways on your way to the next generic room full of enemies, this is then repeated over and over in the same manner until the end of the level; it really becomes dreadfully tedious. The graphics are clearly dated, but the game isn’t unattractive. Presentation is Dreamkiller’s strongest component, however an often colourful art style and some inspired designs aren’t enough to overlook the poor graphics and areas of repetition. Dreamkiller is not a subtle shooter. This is as much an all out run-and-gun shooter as you’re likely to find released these days. Enemies are numerous and always in your face, so there’s little opportunity to mix up your play style, and you’re always trapped in the room until you’ve cleared it. Here’s your basic encounter: you’ll enter a room via a door which will then shut behind you straight away. Enemies will then continuously spawn for a couple of minutes, coming straight at you en masse. You’ll run around the room mindlessly shooting away at the constant stream of enemies until you’ve cleared the room and they’ve stopped re-spawning, at which point the exit door will unlock and you advance to the next room where the process repeats itself. You’ll do this over and over again, in exactly the same way each time, until you reach the end of the level where you’ll encounter a boss (who is typically just a larger version of a standard enemy, and is pumped so full of health that it will typically take a few minutes of constant firing to bring it down). And that’s it, there’s almost nothing else to this game, and this is both frustrating and tedious and completely disappointing. There are a couple of additional gameplay concepts you’ll encounter, but more than anything they tend to be a nuisance, serving only to impede your progress and make your life more difficult. For example, sometimes you will encounter enemies that are trapped deep in the subconscious. In order to defeat these you must enter a portal to the subconscious. Unfortunately for you, if you spend too long in this state, Drake will start losing health, so you’ll want to rush to clear the room of these enemies before that happens. Another reason you’ll want to rid yourself of these enemies as quickly as possible is because once you enter the subconscious an ugly, gritty grey filter washes over the screen, making the game look decidedly worse than usual. There’s also the issue of weapon swapping. If you wander over a weapon drop it will automatically replace your current weapon. This isn’t as annoying as it might otherwise be because most of the time you’ll spot the weapon drops when you enter the room and will make a mental note to avoid wandering into that area, but it’s worth mentioning nonetheless. Dreamkiller should take around 5 hours to complete. After that you can of course choose to replay the game, and there are additional difficulty settings and modes to select, such as a time trial. But the question is: will you want to? Almost certainly not; this is a game which is almost complete devoid of replay value, not because there aren’t the extras there, but purely because the gameplay is so boring and repetitive that you won’t want to make use of them. Indeed, I imagine many owners won’t even get as far as completing it the first time around. There is also a multiplayer mode, unfortunately every time I’ve gone online to try and play it there hasn’t been a single other person playing. This is a genuine shame because I can see how this game could be enjoyable online, but with no one playing it the multiplayer part of Dreamkiller is rendered obsolete. Dreamkiller isn’t without potential, and some of it has been realised despite the dated presentation (chiefly in the design of the level settings and enemies). However, for the most part Dreamkiller is simply not enjoyable, it’s anachronistic and tedious, and at $29.99/£27.99 on Steam I find it hard to recommend to even the most ardent fans of the genre.